Changelly is dead simple to use, a key aspect to their ongoing growth and popularity. It’s easy enough to figure out how to use Changelly on your own, but for the purposes of this Changelly review, we’ll try to cover every aspect of the buying and trading process, so you don’t have to employ any guesswork. We hope you find this Changelly review helpful, and that you consider trying Changelly in the future. Changelly is a crypto exchange that lets users buy a couple of dozen cryptocurrencies (specific coins supported will be discussed later on), with near instant delivery in the user’s private wallet. Changelly exchange is also a place where users can buy a bunch of coins with US Dollars, by using a credit or debit card. US Dollar “onramps” are few and far between. For people who don’t want to wait for Coinbase, or can’t get to the front of the line to create an account with CEX.io, Changelly can be a great choice. How Does Changelly Exchange Do it? If you’ve visited Changelly, you’ve noticed that the interface is about as simple as it comes. You don’t have to do a lengthy signup process, or give out your social security number, or take awkward pictures of your face. Signup is a breeze, and you can begin buying immediately. But how does Changelly accomplish this excellent service? Changelly has a proprietary trading bot which scours the large exchanges (Bittrex, Poloniex, etc.) for coins trading at the lowest price. When it finds the best price, it buys the coins you’ve ordered, and immediately transfers the newly purchased cryptocurrency to a wallet address which you provided while making your order. The coins made available for purchase by Changelly exchange are all high-volume cryptocurrencies. “High volume” means that in any given 24 hours, many millions of dollars of the coins in question will be bought and sold. This ensures that, when you buy, there are always coins available for you to buy. Changelly thrives on speed; it’s one of their biggest selling points. High-volume coins will always be available, and thus will always arrive quickly. Changelly charges a flat 0.50% commission fee for all purchases and trades performed on the platform. This helps fund the business at large, and the technology that works behind the scenes to find the best trades for their customers. It’s important to note that much of this fee goes toward paying the commission fees on the exchange which the Changelly bot uses to fill your order. Bittrex, for example, charges 0.25% per trade, so half of Changelly’s 0.50% is going to that. What Coins Does Changelly Exchange Trade and Sell? Changelly supports several dozen coins at the moment, and is adding new supported currencies all the time. It would take up a lot of space to include all of these coins here in this Changelly review, and somewhat pointless since Changelly has a complete list with an explanation for each coin here. Monero – Monero is the premiere privacy coin for anonymous transactions, with a huge community, and steady development. It is generally agreed upon that Monero is one of cryptocurrencies most likely to hold its value, with a lot of room for growth in the future. Dogecoin – A supposed joke currency, Dogecoin has nonetheless exceeded a $1 billion market cap, and remains useful for buying, trading, and tipping years after its creation. Dogecoin has one of the most fun and robust communities in all of crypto, and can be expected to outlive many “serious” coins that compete for its market share. Lisk – Lisk is a decentralized application cryptocurrency project, which also allows for users to set up their own blockchains and tokens with ease. Lisk boasts one of the most active developer communities in all of crypto, and has a big and ambitious roadmap ahead of it for 2018. DigixDao – We live in a moment in crypto history where the market is suspicious of Tether, the cryptocurrency whose tokens are tied to the price of the US Dollar 1:1. With suspicions that Tether doesn’t actually have this much money in its reserves, people are starting to become more interested in DigixDao, a cryptocurrency whose tokens are tradable 1:1 with single grams of gold. Unlike Tether, you can visit the gold storage site in person and trade your tokens for real gold, which will be mailed directly to your house. Stellar Lumens – Stellar is truly one of the most promising projects in crypto, with big implications for remittances, the unbanked, developing nations, micro payments, and business financial interests. Made by some of the people who created Ripple, Stellar is just as fast as its crypto cousin, with many more consumer facing applications. It’s token, the Lumen, works on the Stellar network and is tradable against countless other digital assets. As you can see, Changelly chooses to work with strong projects that have a great deal of interest and liquidity at any given moment. These five projects are just a small sampling. Most of the coins supported on their platform look like good investments to us, and we think 2018 is likely to be a big year for all of them! By this point in this Changelly review, you know what Changelly exchange is, and more or less how it works. Now that we’ve made the introductions, it’s time to show you exactly how to buy cryptocurrencies on Changelly exchange. So you’re ready to buy cryptocurrency on Changelly exchange. Before you even go to the site, however, you have to download the wallet that goes with the coin you will eventually buy. This is because Changelly doesn’t hold your coins in the same way an exchange like Bittrex does. Instead, when your order is completed, Changelly sends your coins straight to your personal wallet address, always in less than 30 minutes. A multi-coin wallet like Exodus (pictured below for this example) is a good choice for some of the coins on Changelly. Others will need their own wallet. If you get confused about which wallet to use, just contact Changelly support. Above, you can see a picture of an Exodus Bitcoin address. In our example we are trading for Litecoin, so you would first click on the Litecoin portion of the Exodus wallet, click “receive”, and copy the address you see there. This address is your personal Exodus Litecoin address. You’ll need to plug this address into your order form on Changelly. Next, navigate to the Changelly homepage. Here, once you’ve made your simple account, you’ll be able to use US Dollars, or other cryptocurrencies, to trade for Bitcoin, Ethereum, and the altcoins supported by the Changelly platform. Start by filling in the order details that apply to your order. For our example, we’ll be trading Ethereum for Litecoin. On this screen you’ll see the current exchange rate of this trading pair. Note: the exchange rate will change in real time until the moment when your order is actually executed, so the exchange rate you see will be slightly different from the one you eventually pay. This is much more specific than a “ballpark figure”, but it’s not exact. Sometimes, the exchange rate will change in your favor (as in this example). When you’re satisfied, click “Next”. Now it’s time to paste that wallet address we had you copy just a few steps above. Be very careful that the address you input is correct, as coins sent to the wrong address pretty much can’t be recovered. Again, Changelly will ask you to review all of the details of your order and to make any changes you might have missed. When you are sure everything is right, click “Confirm and Make Payment”. Now it’s time to pay. Your order won’t be filled until you pay, obviously. If you’re using US Dollars with a credit card, simply input your information. If you are using another cryptocurrency for this trade, like Ethereum, send Ethereum to the address listed on this page or scan the QR code (on the page you see when you make your order, not the page you see pictured above). Now you’ll see that your order is in motion. You can watch this screen till its complete if you want, or you can go do some pushups or read a page of “Infinite Jest” while you wait. Whatever you want. You’l be able to access a record of all of your Changelly orders on this page. This is the transaction confirmation screen. It has all of the intimate details of your trade and the hash code through which you can access these details forever and always. Now, just check the wallet address for which you gave Changelly the address for this order. Your coins should be shining bright there, ready to hold, trade, or spend as you see fit. Is this an unbiased Changelly Exchange Review? You betcha. 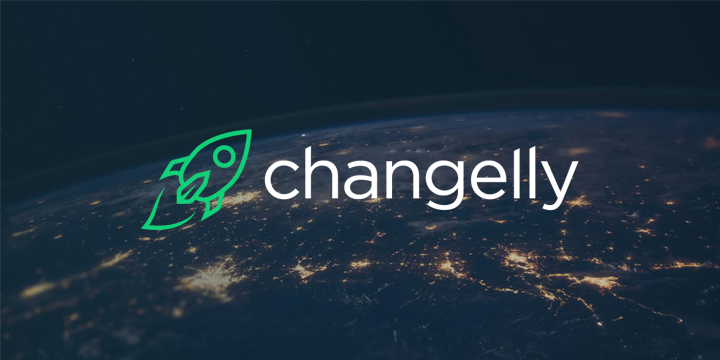 We have no financial stake in Changelly, though we do appreciate it if you use our referral link when you sign up. Is the Changelly Ripple (Changelly XRP) price competitive? Changelly searches all major exchanges for the best Ripple price before completing your order. Is the Changelly Reddit active? There is an active Changelly Reddit community, and the Changelly exchange gets talked about frequently on all subs related to cryptocurrency. Is there a Changelly App? There is no official Changelly app, but Changelly is built into the Stratis app. Is Changelly support good? Is Changelly legit? Changelly vs Coinbase, which is better? There is no clear answer to this question. Changelly supports many more coins that Coinbase and will usually get your coins to your wallet much faster. However, Changelly costs more than Coinbase. Which exchange is better for you really depends on your needs and expectations. Can I store coins in the Changelly wallet? No, you shouldn’t even think of Changelly like a wallet. Is Changelly crypto traded like other crypto? No, it’s one of the easier processes of all of the major crypto exchanges. Is there a Changelly credit card option? Is there a Changelly USD option? Yes, you can use a credit card to buy all of the coins supported by Changelly, using USD. I can't remember my Changelly login? Changelly support may be of some help, but you really should choose a Changelly login that you can remember. Are Changelly transaction fees expensive? o.50% is a little high, but this is because Changelly has to pay commission fees on the exchanges where they buy your coins, thus raising the price on Changelly. You’re paying for convenience here, so you’ll have to decide if this is worth it for you. Generally speaking, though, 0.50% really isn’t that bad at all. I want to do a Changelly buy Bitcoin action! Good for you, buddy. We’re glad this Changelly review tipped the scale for you. Changelly isn’t an exhaustive one-stop crypto shop like Bittrex or Poloniex, but then again it’s not trying to be. In fact, Changelly is trying to make the crypto buying and trading process much easier than it is on those major exchanges, which are slowed down by excessive demand and which are anything but idiot proof. Use Changelly if you want cryptocurrencies of various kinds as soon as possible, don’t mind paying a slight premium, and want the process to be simple and straightforward. Many people who are used to Coinbase or other USD-Crypto onramps are shocked at just how easy it is to use Changelly, and how well it works. Changelly has earned its place as an essential crypto exchange. Find out why by trying out Changelly for yourself. We think you’ll be more than happy with the process and will return to complete future purchases and trades.